During my days as a defense attorney, I represented the target defendant (a fuel valve manufacturer) in the wrongful death claim arising out of folk singer John Denver’s fatal plane crash. As part of that case, I had the opportunity to work closely with Burt Rutan and Michael Melville at Scaled Composites, the company that later went on to successfully design and launch SpaceShipOne. As a member of Thorsnes Bartlotta McGuire, I have helped to obtain more than $105 million on behalf of our clients, including more than $17.5 million on behalf of a personal injury client, $3.3 million on behalf of children who lost their father in a helicopter crash, $4.7 million on behalf of a homeowner’s association for construction defects. Our firm continues to represent clients who lost their homes and businesses in the 2007 wild land fires. My first exposure to complex litigation came when I worked for a sole practitioner who had a successful product liability practice. I had the opportunity to learn from a skilled trial attorney working on high exposure cases against automotive manufacturers such as General Motors and Honda. I then practiced with a Los Angeles defense firm representing clients like Goodyear Tire & Rubber, Cessna Aircraft Company, and Progressive Insurance in product liability, aviation law and insurance bad faith cases. For the past nearly nine years at Thorsnes Bartolotta McGuire, I have had the pleasure of practicing with some of the best attorneys in town representing victims of catastrophic personal injury, insurance bad faith, aviation crashes, and construction defects. I am a member of the Consumer Attorneys of San Diego and have been the editor of the Evidence column for the Trial Bar News since 2008. Writing and editing monthly columns is a great way to stay up on new trends in the law and to address vexing problems we face as trial attorneys. As I member of the San Diego Bar Association, I have been a presenter in their lunchtime lecture series. I am a master member of the Enright Inns of Court and have served as a group leader and presenter. 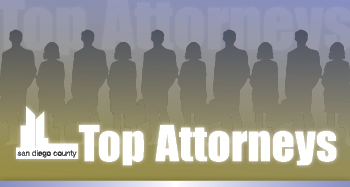 These organizations provide an unequaled opportunity to meet and work closely with judges and attorneys in the community and to develop educational programs on interesting issues in our field. I first flew a plane solo at 16 and later obtained my private pilot’s license with an instrument rating. I spent several years working as a cook and later as a chef in Newport Beach restaurants. I then worked in the construction field for several years with a friend’s window-and-door product company. My wife, son and I enjoy traveling and recently completed a 2-week trip in an RV visiting Zion, Bryce Canyon, Grand Teton and Yellowstone National Parks.